As the school year draws to a close and the days lengthen, you may be one of the many homeowners who are getting ready to put their home on the market. After all, in many locales, summer is the best time of year to sell a home. But it’s important to think not only about the potential profit (or loss) from a sale, but also about the tax consequences. If you’re selling your principal residence, you can exclude up to $250,000 ($500,000 for joint filers) of gain — as long as you meet certain tests. Gain that qualifies for exclusion also is excluded from the 3.8% net investment income tax. To support an accurate tax basis, be sure to maintain thorough records, including information on your original cost and subsequent improvements, reduced by any casualty losses and depreciation claimed based on business use. Keep in mind that gain that’s allocable to a period of “nonqualified” use generally isn’t excludable. A loss on the sale of your principal residence generally isn’t deductible. But if part of your home is rented out or used exclusively for your business, the loss attributable to that portion may be deductible. If you’re selling a second home, be aware that it won’t be eligible for the gain exclusion. 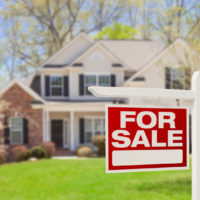 But if it qualifies as a rental property, it can be considered a business asset, and you may be able to defer tax on any gains through an installment sale or a Section 1031 exchange. Or you may be able to deduct a loss. If you’re considering putting your home on the market, please contact us to learn more about the potential tax consequences of a sale.